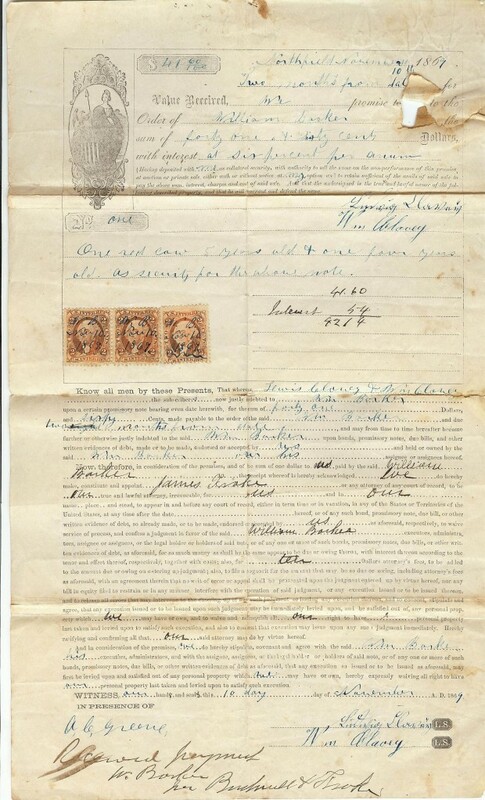 In 1869, the year Highland Park, Illinois received its charter, local resident William Clavey et al provided a loan to another resident, William Barker (or Baker). He offered two cows as collateral. These and other long-hidden documents have been preserved and made available through a grant from the National Historical Publications and Records Commission and part of ongoing Hidden Treasures Exhibit. The Highland Park Historical Society is featuring an exhibit showcasing highlights from its recently processed historical collection made possible by a grant from the National Historical Publications and Records Commission (NHPRC), the grant-making arm of the National Archives and Records Administration (NARA). The exhibit, which marks completion of the first stage of the NHPRC grant, is being held at the Society’s Museum at 326 Central Street, Highland Park, IL, through October, 2012. 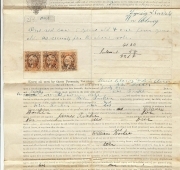 The exhibit showcases documents from City of Highland Park early records, including seminal documents such as ordinances related to prohibition, water treatment, the paving of sidewalks, and dog licensing. Also on display are early maps and photographs of the city, archives from early Highland Park social organizations such as the Highland Park Woman’s Club, the North Shore Yacht Club, Exmoor Country Club, and local family scrapbooks. Visitors are also be able to view artifacts, including arrowheads and other relics, which were unearthed during an Indian mound excavation in 1954 on Laurel and Dale Avenues.